Vom Krankenhaus zum olympischen Siegestanz? 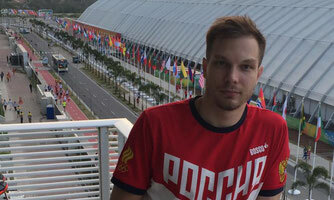 Exklusivinterview mit Ivan Sozonov - Badminton News hautnah! 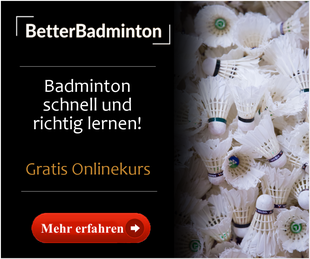 Es ist eine der großen Geschichten des olympischen Badmintonturniers! Vor etwas mehr als drei Monaten riss sich Ivan Sozonov im Halbfinale der Europameisterschaft die Achillessehne. Die Olympiaträume von ihm und seinem Partner Vladimir Ivanov schienen zu platzen. Doch die All England Sieger sind jetzt nicht nur dabei, nach drei Gruppensiegen, u.a. gegen die Goldfavoriten aus Korea, sie haben sogar selbst große Chancen, bei der Medaillenvergabe ein Wort mitzureden. Wir sprachen mit Ivan Sozonov über Medaillenträume, Siegestänze und seine verrückte Geschichte, die ihn auch nach Deutschland führt. Smashing-News: Hello Ivan. It has only been three months since your bad injury. Did you ever expect to play in Rio after your diagnosis? Ivan Sozonov: I injured myself at a bad date, because a few weeks earlier we won the All England Championships. Therefore we had a really good chance to take a medal in Rio, but then the injury intervened. One month ago, I didn't know if i would be able to play at the Olympics or not, but my team and me did a good job and my body recovered fast. The fact, that I am able to play here in Rio is still unbelievable! Smashing-News: How do you feel on court and are you playing differently because of the injury? Ivan Sozonov: On August 11 I played my first offical match after the injury and I didn't know if it's possible to play against these strong opponents at the Olympics. I didn't even know how to move and play on this high level, but I didn't feel nervous before the match because there has been no pressure for us. All our opponents are nervous and I think we have a mental advantage at the start of all matches. Smashing-News: Aren't you afraid that your hamstring could be injured again? Do you still feel handicapped? Ivan Sozonov: Of course, I thought about it during all the matches. Partly I was a little bit distracted! Smashing-News: You had your operation in Germany done, hadn't you? Why there and how was it? Ivan Sozonov: That's right! My surgery was held by Professor Michael Raschke in Münster, Germany! I think he has magic hands and he gave me back the hope to play at the Olympics. I have to be very thankful. Smashing-News: Let's talk about your Olympics so far. On Saturday you defeated the gold favourites Lee and Yoo and you are on top of the draw. What's your goal now? Ivan Sozonov: Yes, it has been a great win yesterday! But we don't think about a medal at this moment. Now we focus only on the quarterfinals. We want to take it step-by-step! Smashing-News: You probably didn't expect anything like that, did you? What did you expect before the tournament? Ivan Sozonov: Our first goal was to play on our highest level, but now we reached the quarterfinal and it's a bit different. Our tactics pays off. I have a good feeling for my netgame and for my serve as well. We know, that we are able to play even better in the next match against China! Smashing-News: After your All England victory we saw a special dance from you and Vladimir. Do you have prepared anything special for Rio? Ivan Sozonov: I think if we win the semifinal, we will prepare something in the night before the final. In this night we always get our inspiration for our dances. But for sure, we want to dance again! Smashing-News: Thank yo very much and good luck for your quarterfinal on Monday!